Did Your Organization Do Something Amazing This Year? Every year, AASLH bestows the Leadership in History Awards in recognition of excellence in the field of state and local history. The next small grants deadline for the Minnesota Historical & Cultural Heritage Grants program is Friday January 10, 2014. Contact the Grants Office with questions. MHCHG grants are available for scholarships to send up to two organization members to attend the AASLH Annual Meeting in Saint Paul. NOTE: This scholarship project will only be available for the January 10 and April 11, 2014 deadlines. Renovation of the glacial stone fireplace and chimney in the Oberholtzer House in the Ernest C. Oberholtzer Rainy Lake Islands Historic District on Mallard Island, which is listed in the National Register of Historic Places. Learn about the roots of Minnesota's funk music scene. Gustavus Adolphus undergrads work on museum exhibits. Minnesota African American Museum resolves to open. Murray County, Slayton MN, seeks part-time Site Coordinator for End-O-Line Railroad Park & Museum, Currie MN. Employment application form required. Deadline: December 30, 2013, 4:30 p.m.
Murray County, Slayton MN, seeks part-time Site Coordinator for Dinehart-Holt House, Slayton MN. Employment application form required. Deadline: December 30, 2013, 4:30 p.m.
Due to the weather, Scott County Historical Society, Shakopee MN, rescheduled their Holiday Open House. Please join them on Saturday December 14, 2013, 1-3 p.m. Contact SCHS, 952-445-0378, for more information. Rockford Area Historical Society, Rockford MN, will hold a Formal Tea, December 15, 2013, 1-4 p.m. Tickets: $20/person; period costume encouraged. Call 763-477-5383 for more information. Due to the weather, Carlton County Historical Society, Cloquet MN, rescheduled "The Greatest Scientific Prize Ever Awarded in History," a talk by Allen R. Anway. Please join them on Wednesday December 18, 2013, 1 p.m. Call 218-879-1938 for more information. Stearns History Museum, St. Cloud MN, offers "Introduction to the Research Center and Archives" workshop, to be held the third Wednesday of every month. This month, join them December 18, 2013, 9:30 a.m. RSVP to 320-253-8424. 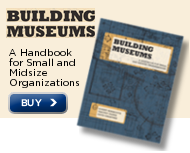 The American Alliance of Museums' Pledge of Excellence is an easy and achievable step along your museum's path to excellence, and a way to show your museum's commitment to being a good steward of the resources it holds in the public trust. The pledge states that, in fulfillment of the museum's educational mission, it will strive to operate according to national standards and best practices to the best of its abilities and in accordance with its resources. Learn more about the Pledge and add your museum's name to the list today. Throughout the month of December, Minnesota Discovery Center, Chisholm MN, offers free museum admission to guests who bring non-perishable food items for the local food shelf. Call 800-372-6437 for more information. Family Tree Magazine listed Minnesota Discovery Center, Chisholm MN, and Minnesota Historical Society, St. Paul MN, as two of the top 75 Best State Genealogy Websites in 2013. Nicollet County Historical Society announced that Alyssa Auten, currently coordinator for the Taylors Falls Historical Society, will become its next executive director. Alyssa brings a strong track record of operating a contract management state historic site, the Folsom House, and the Nicollet County Historical Society currently operates four contract management historic sites for the state. Well done, Alyssa! Polk County Historical Society, Crookston MN, announces that they have selected Alyson Leas as their new part-time Museum Director. Alyson started with PCHS on September 3, 2013. Welcome, Alyson! On Stage with Kevin Kling, by Kevin Kling.